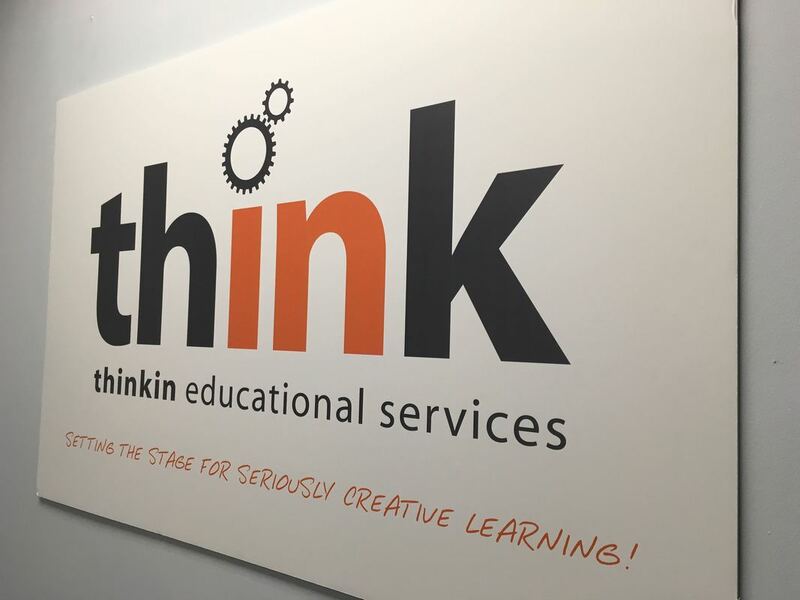 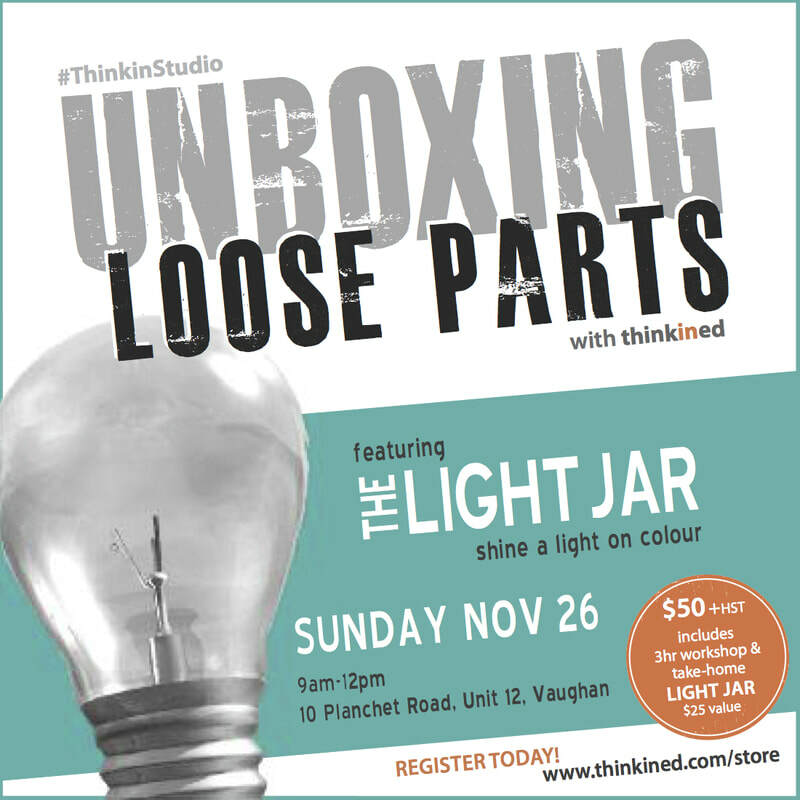 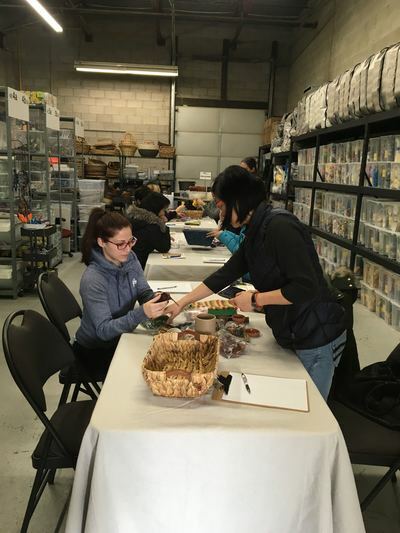 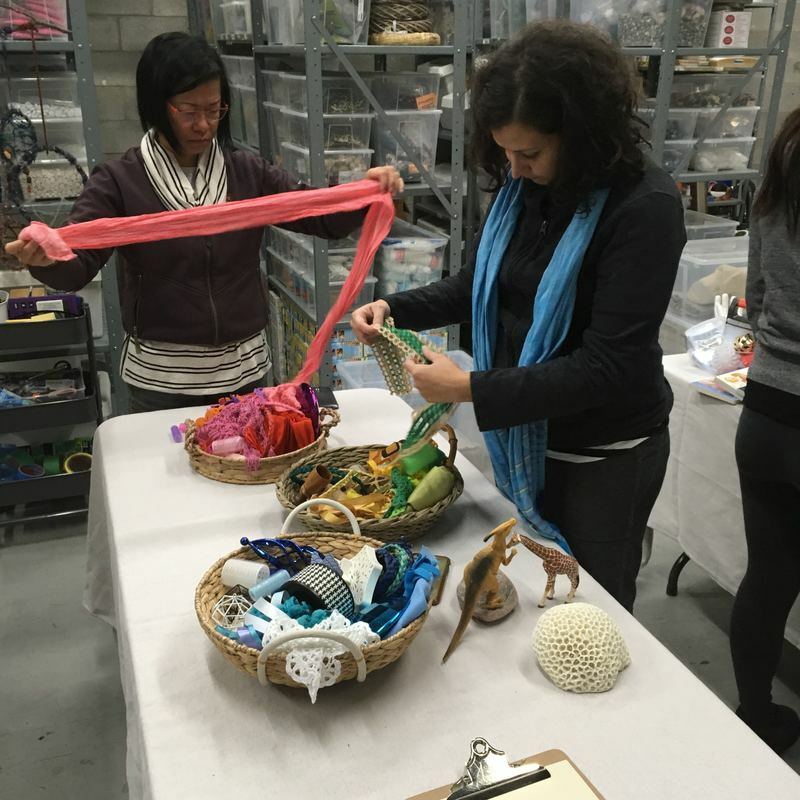 We host exciting events and professional learning workshops in our studio. 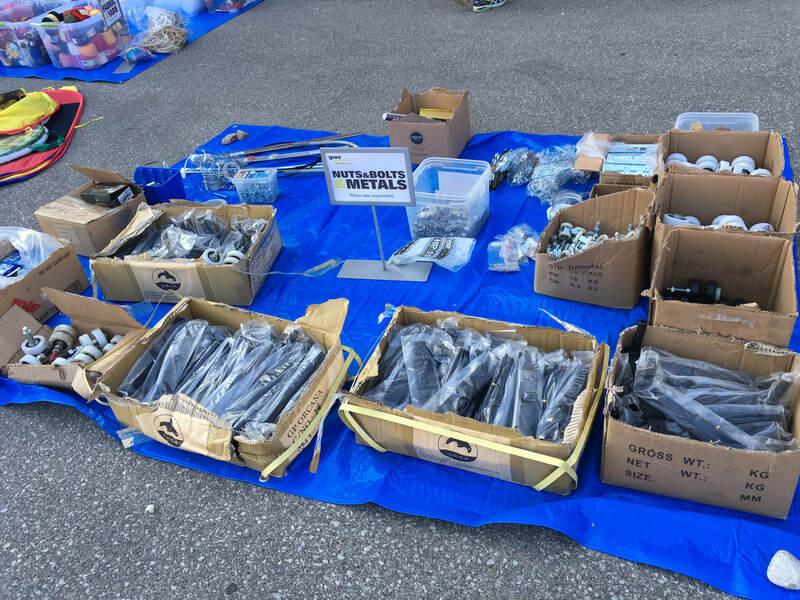 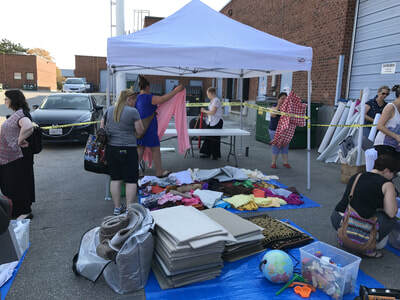 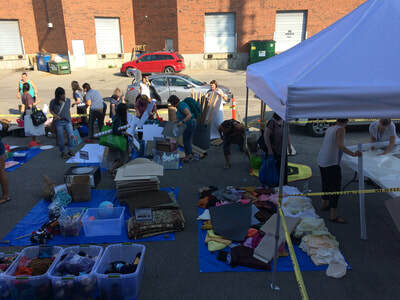 Scroll down for images from recent events. 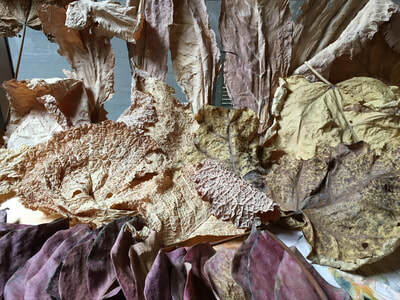 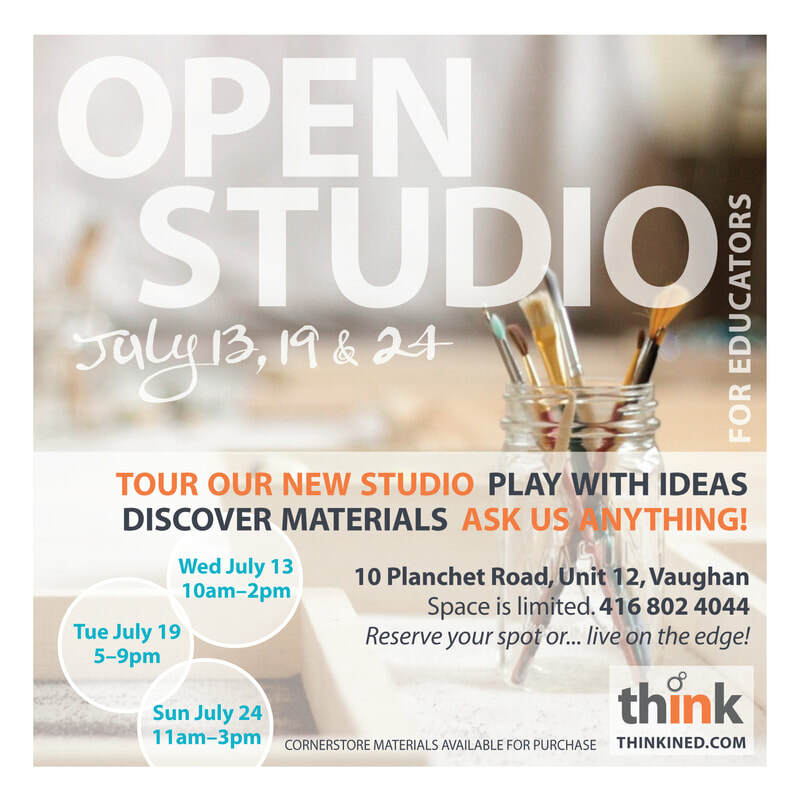 Contact us today to arrange a studio visit, shop for materials, or book an intimate, meaningful learning experience. 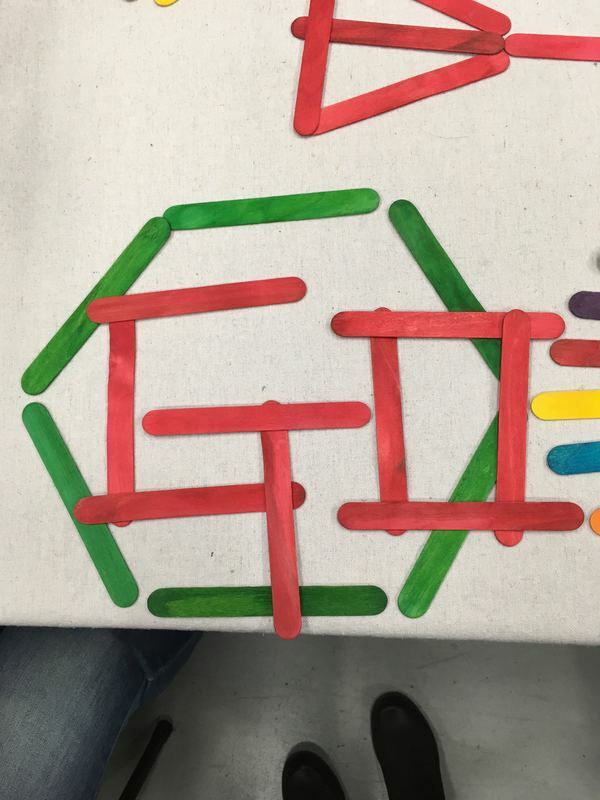 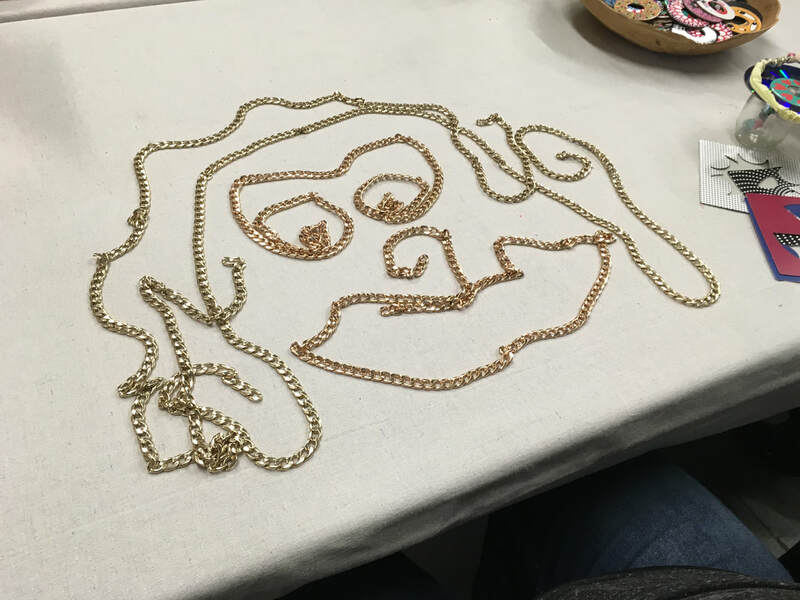 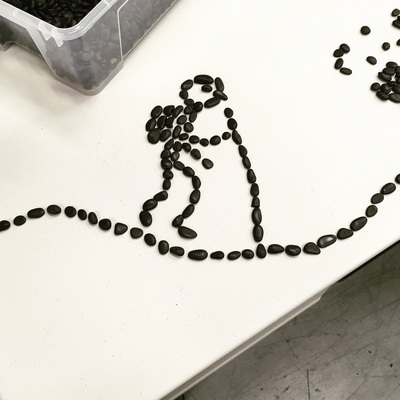 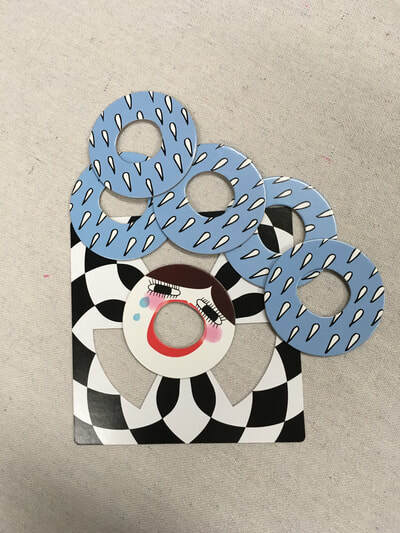 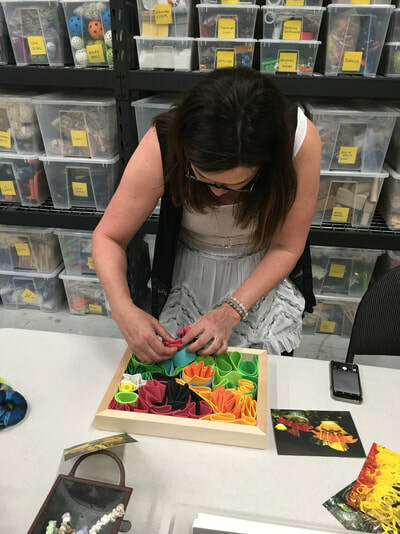 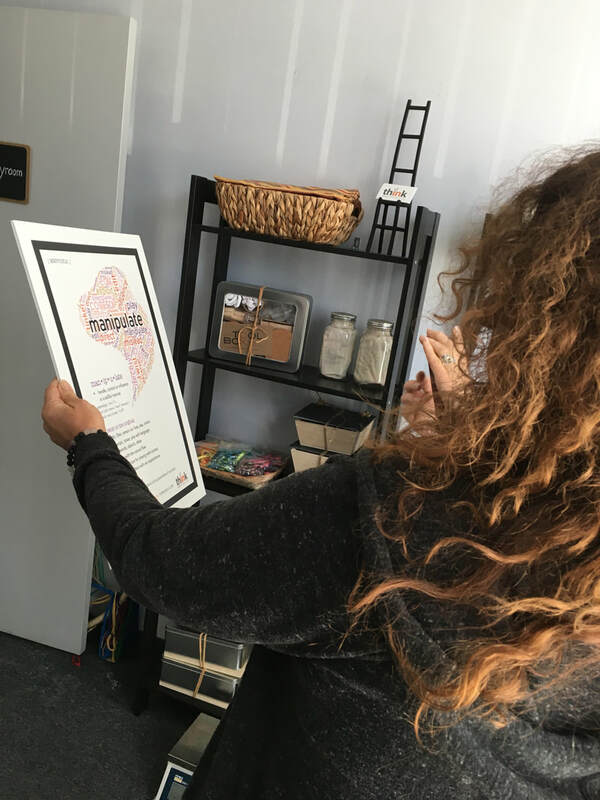 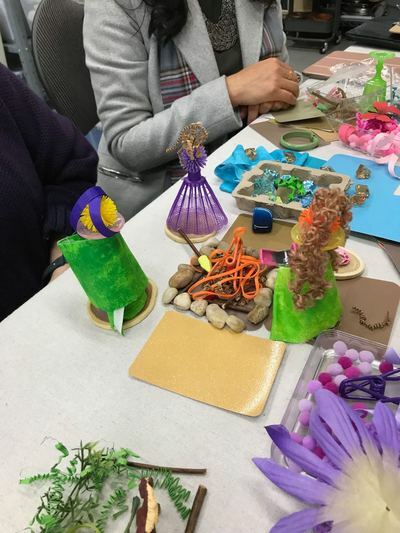 "Reflecting on last weekend (at Open Studio)... and feeling inspired to see where this takes me." 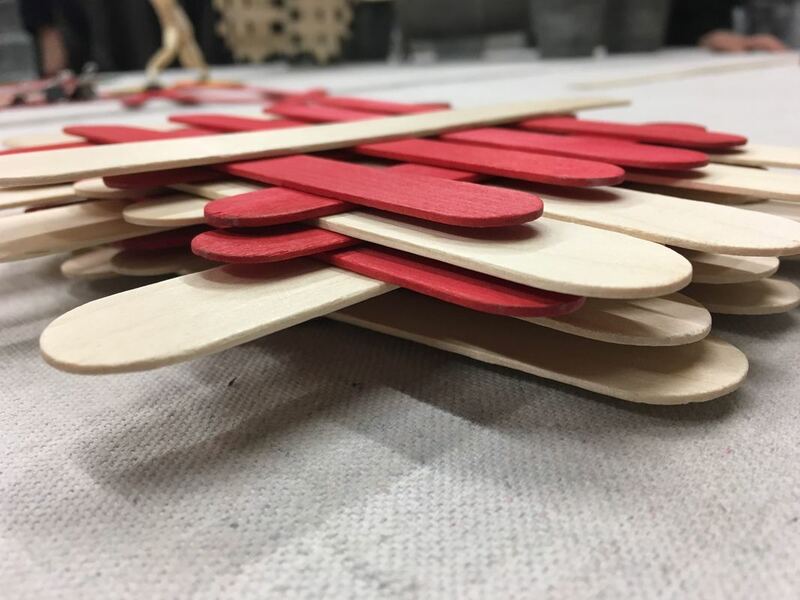 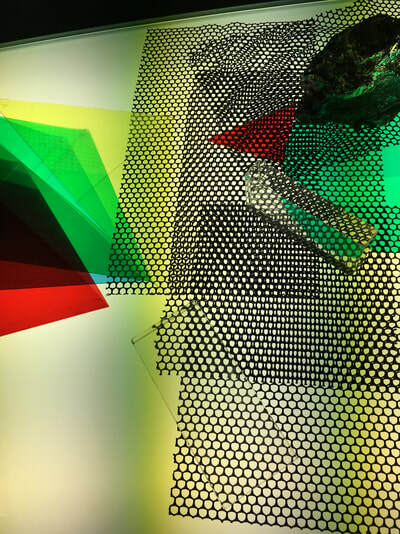 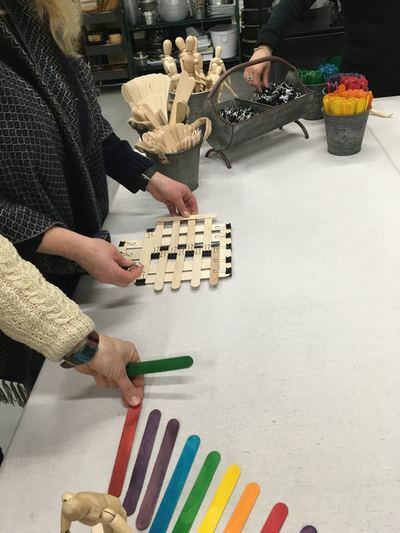 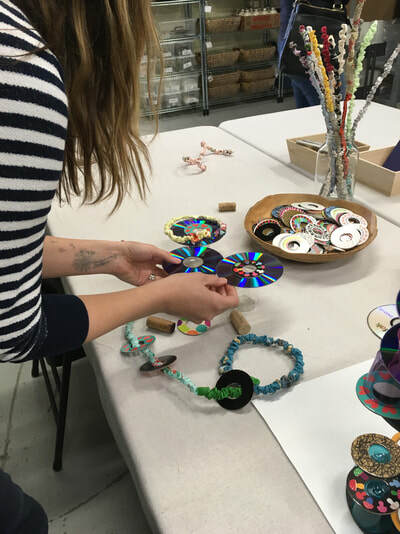 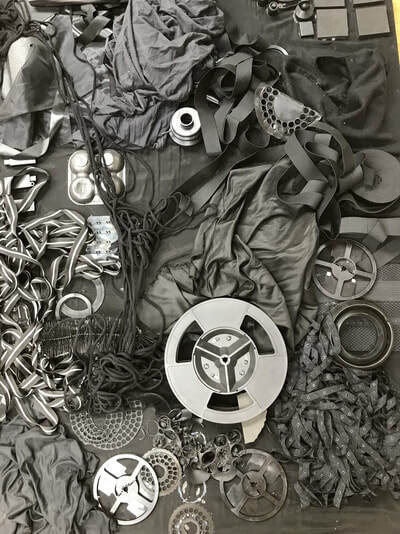 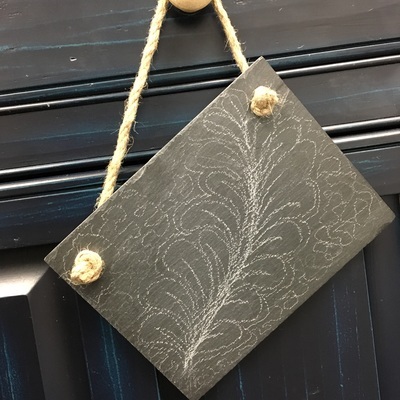 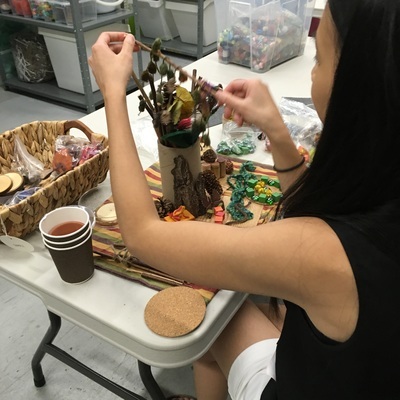 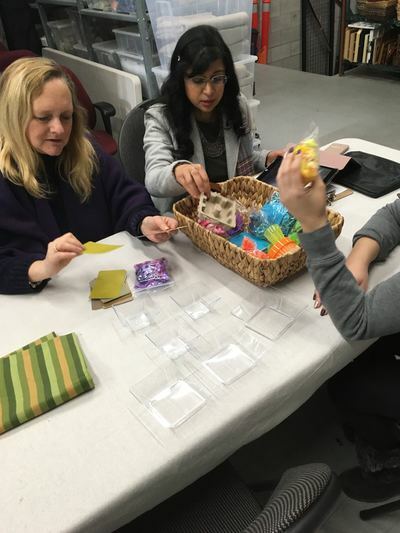 Open Studio is about welcoming people into our studio to play and experiment with new materials and ideas. These little open-ended adventures have become dynamic, energizing experiences for our guests and for us! 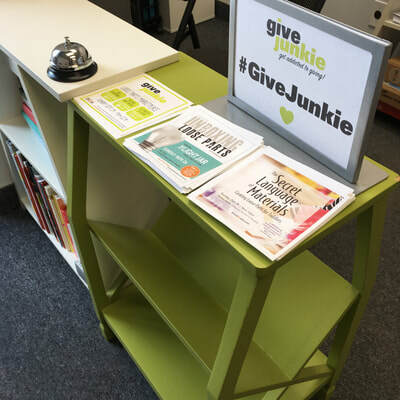 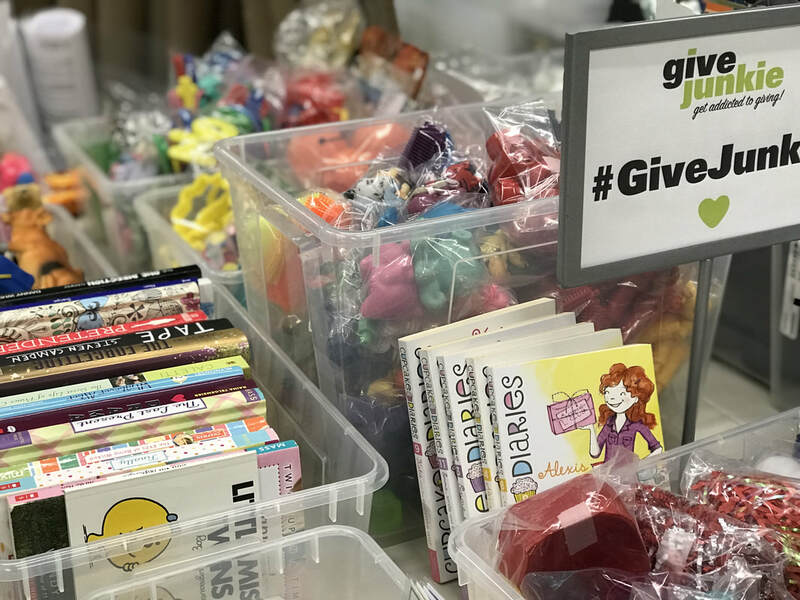 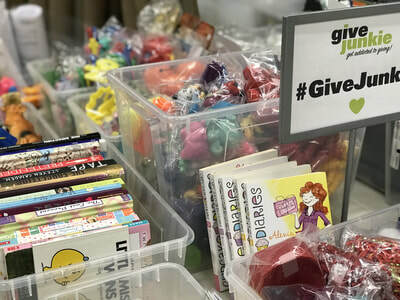 Plus, they are a wonderful opportunity to get your hands on free Give Junkie materials! 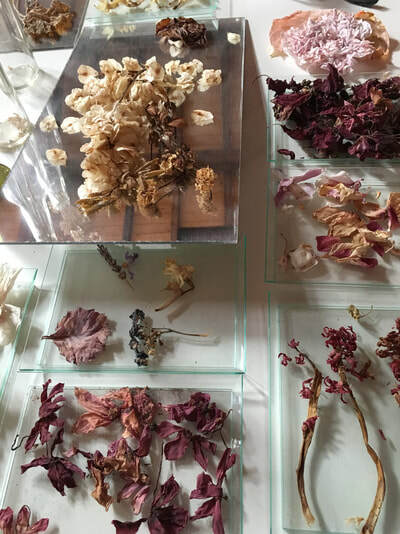 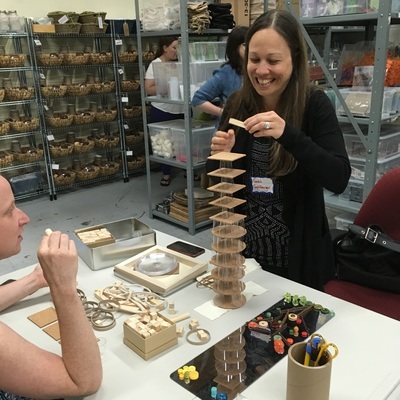 "Intelligent and interesting conversations about the recent Reggio Emilia study tour." ​– Heather Jackson, The Sunflower School. 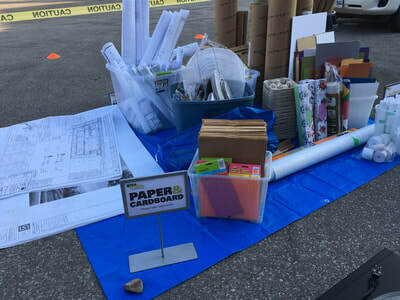 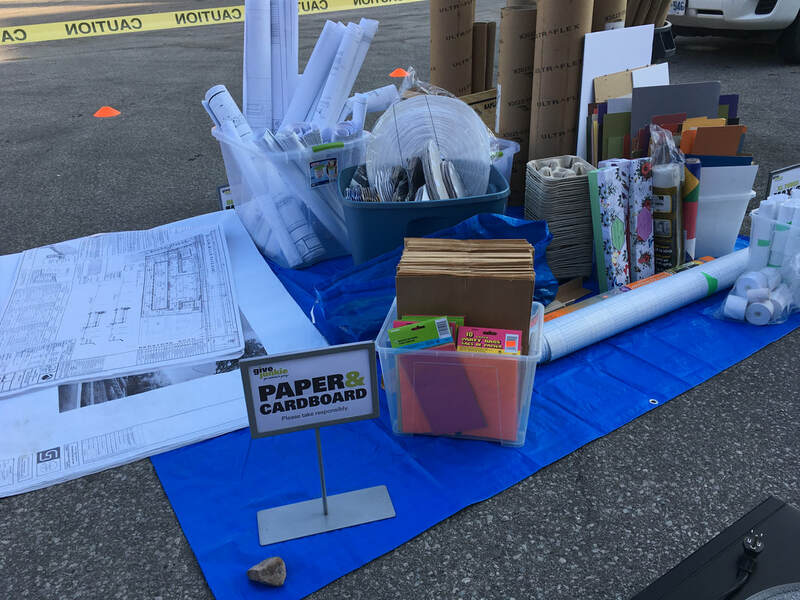 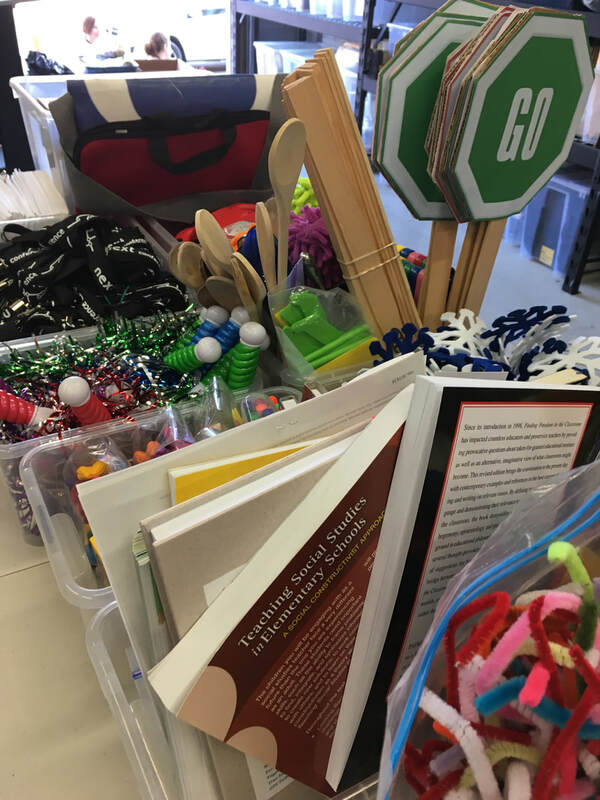 We have so much new thinking to share about materials, ateliers, classroom layout, documentation and more. 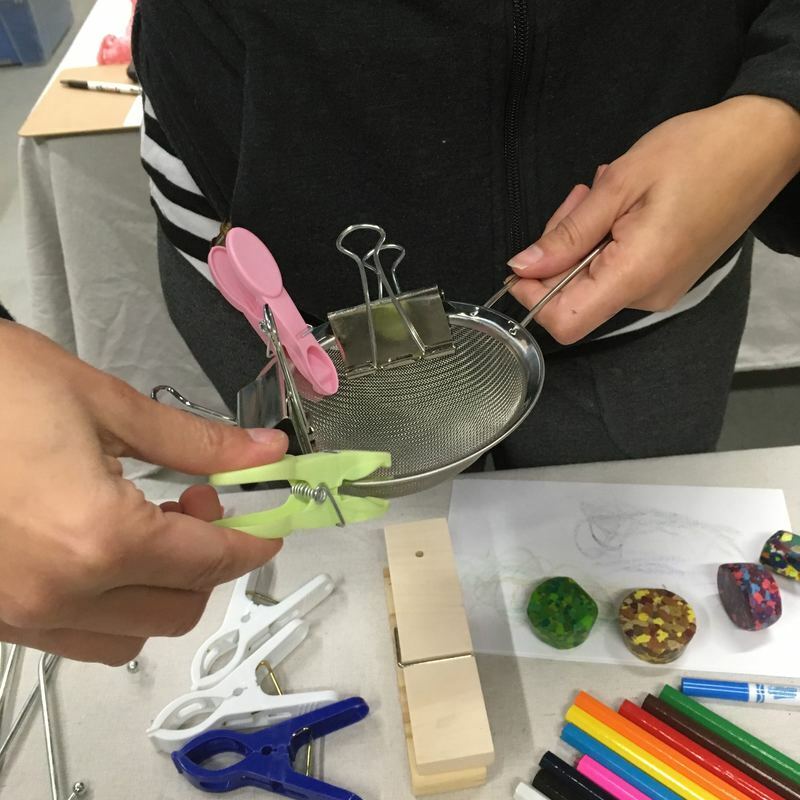 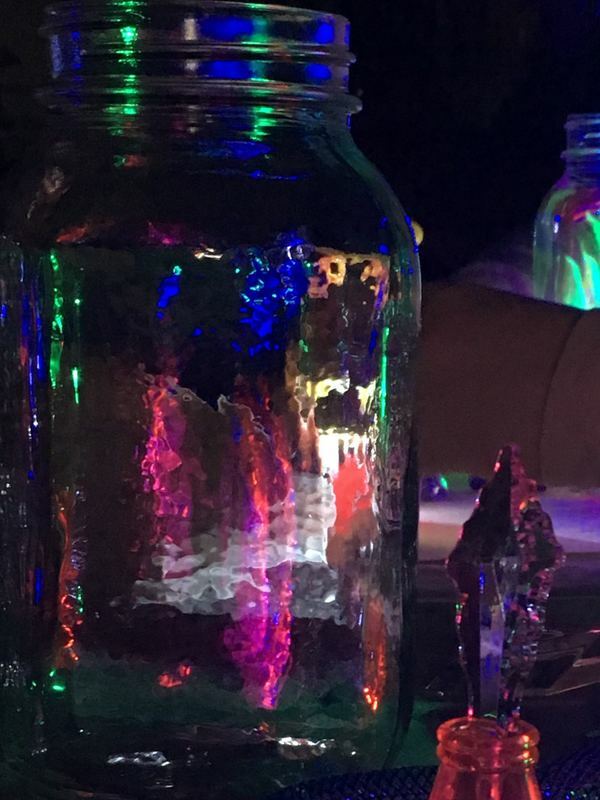 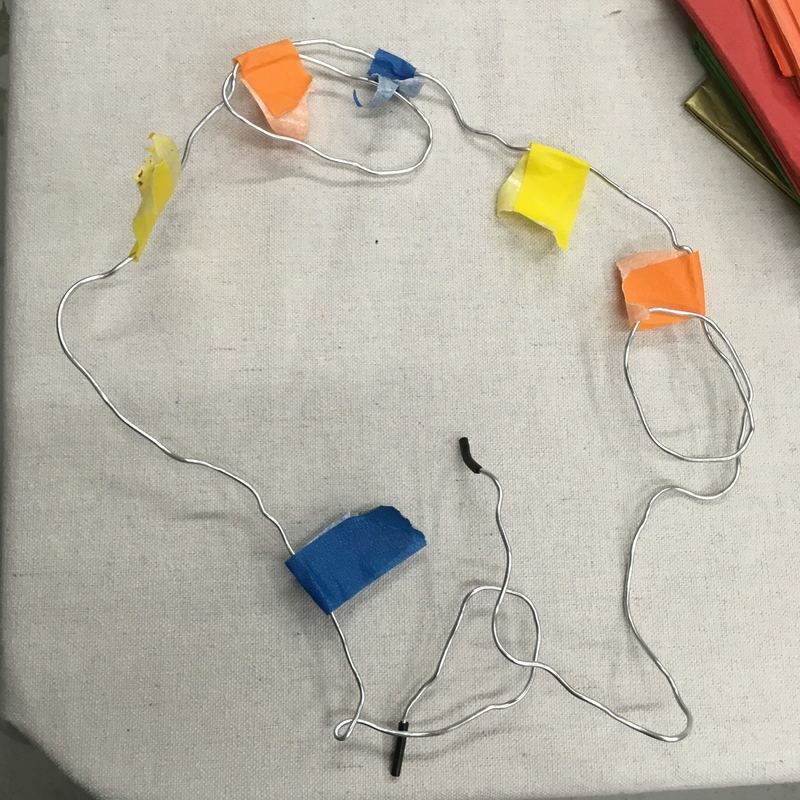 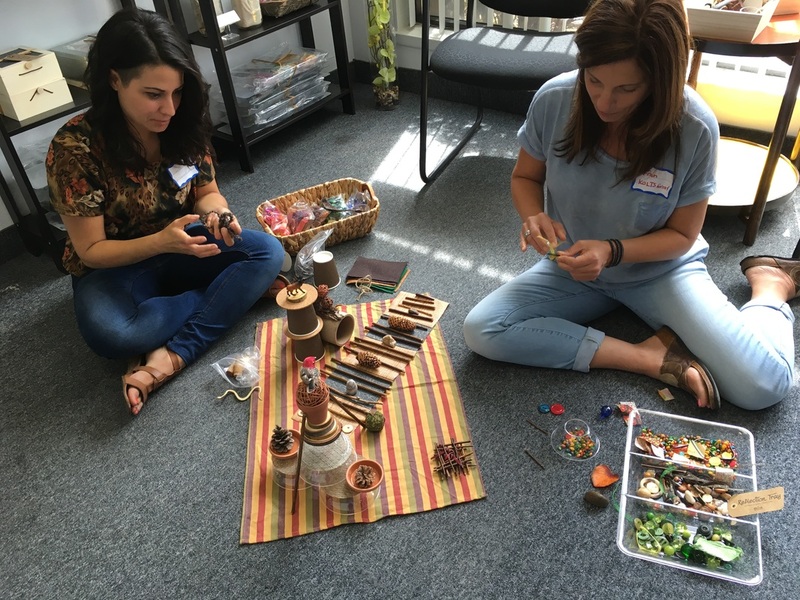 Let us bust some myths as we share our Reggio reflections with you! 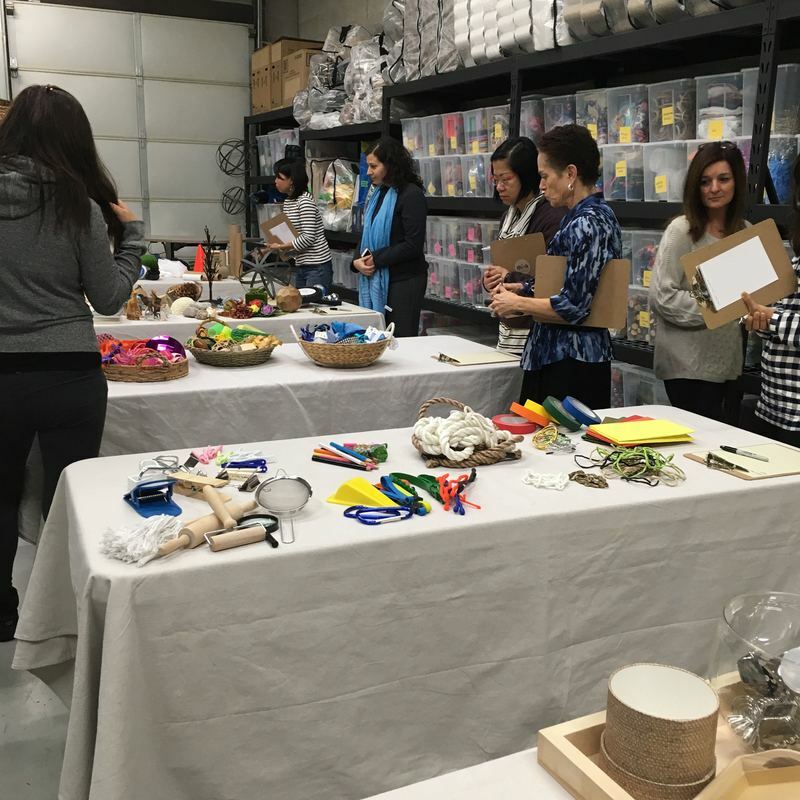 Host a private group discussion in our studio or your space. 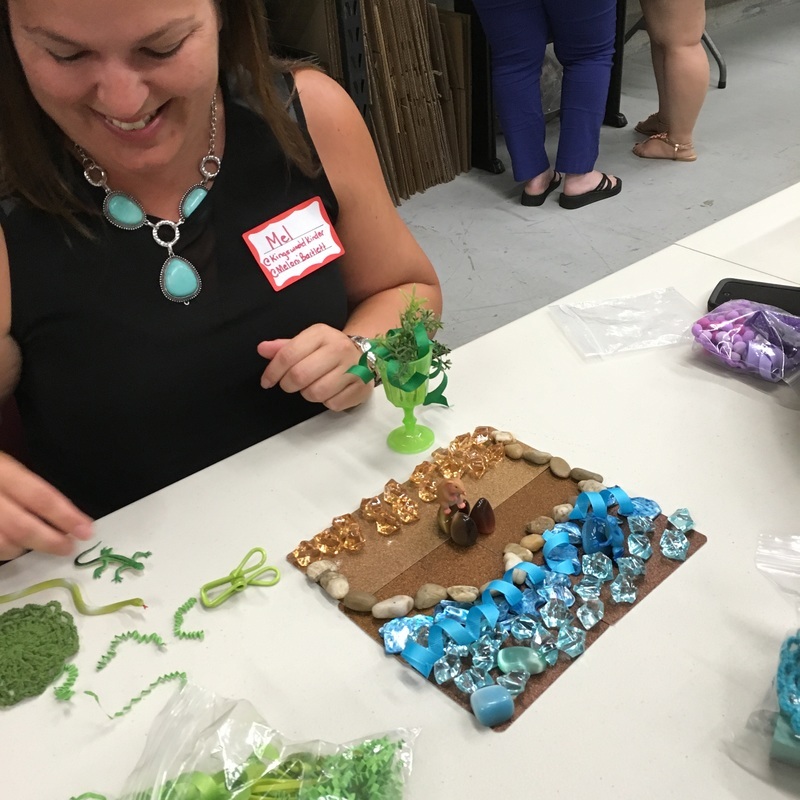 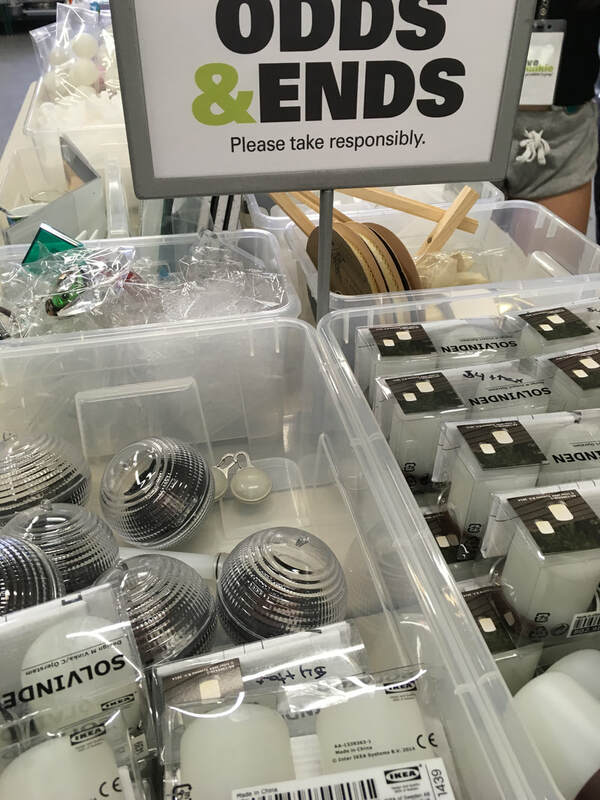 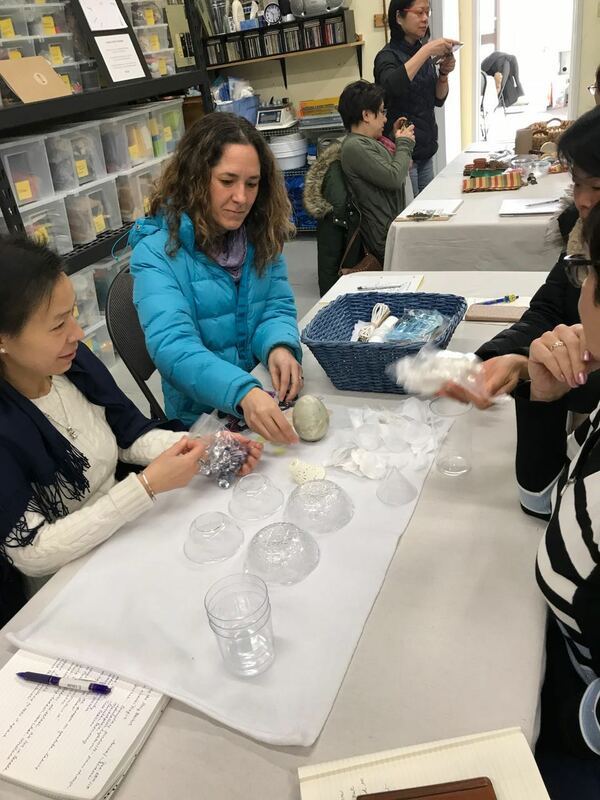 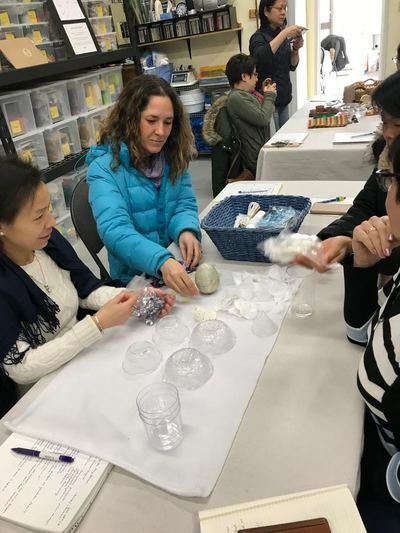 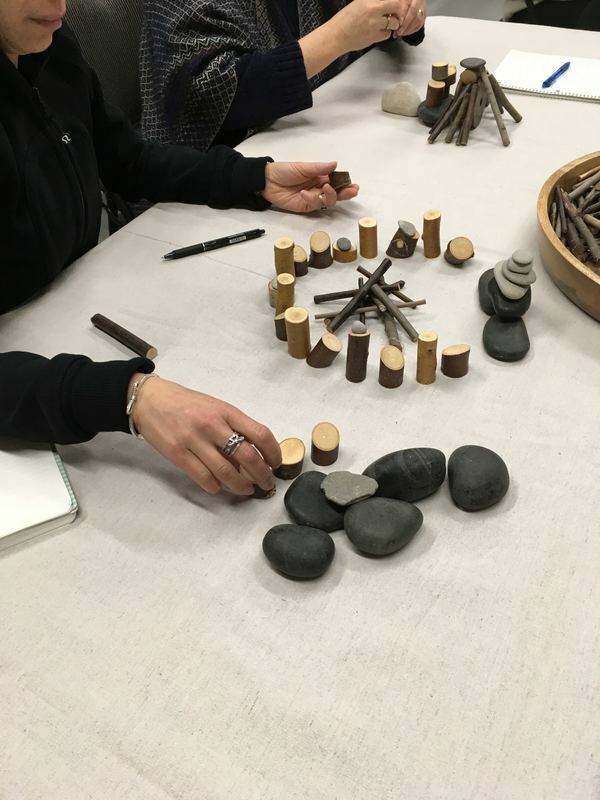 A workshop for defining the concept of loose parts; understanding the inherent properties of materials; interpreting and shifting mindsets. 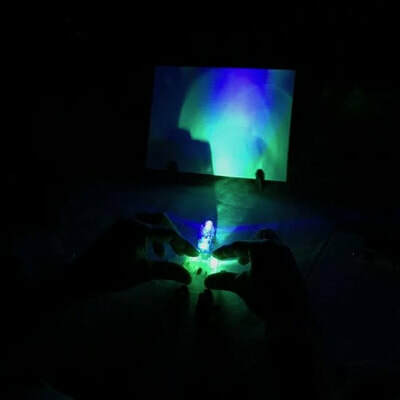 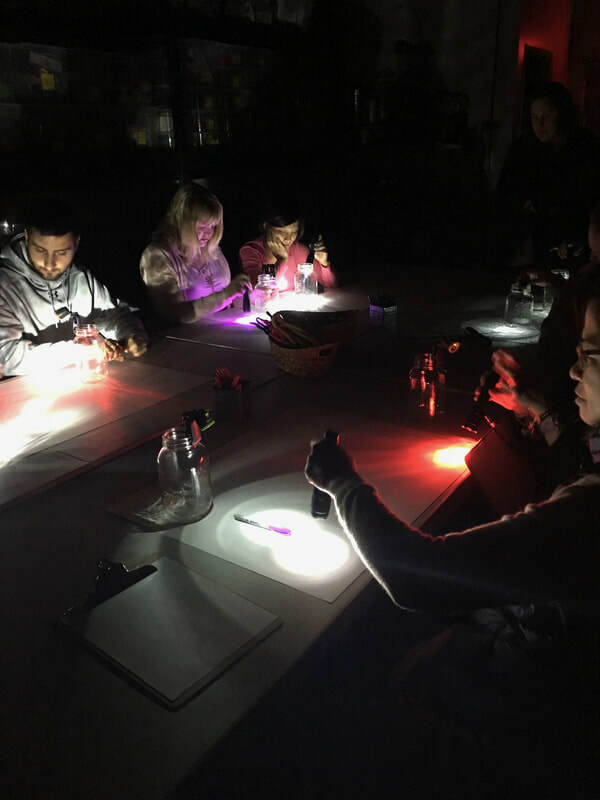 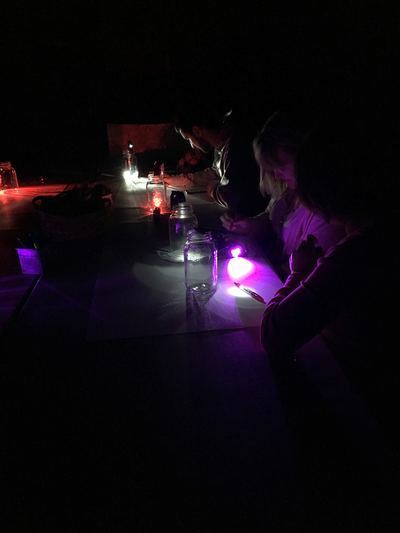 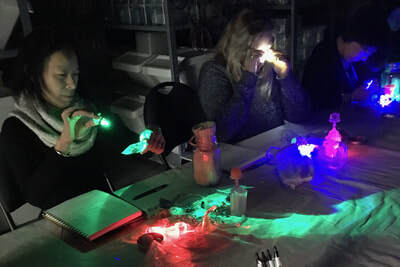 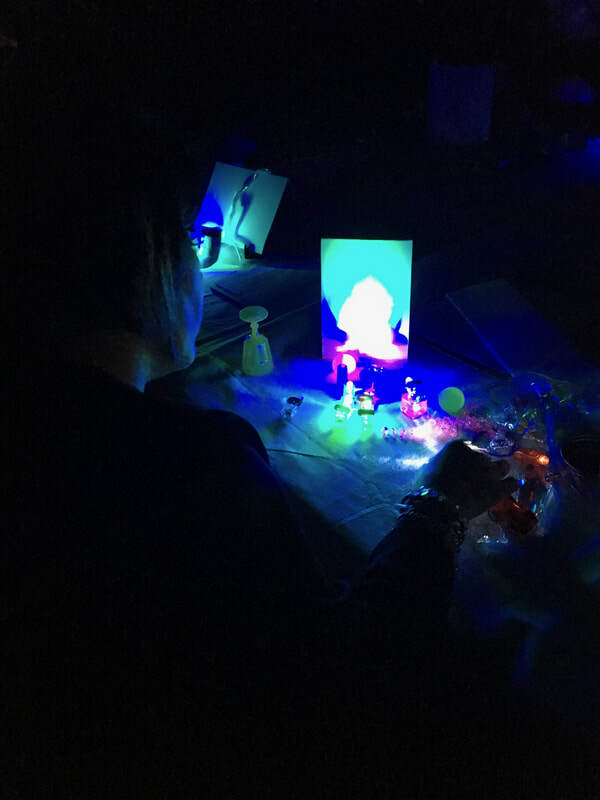 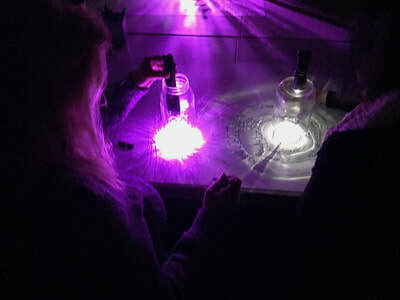 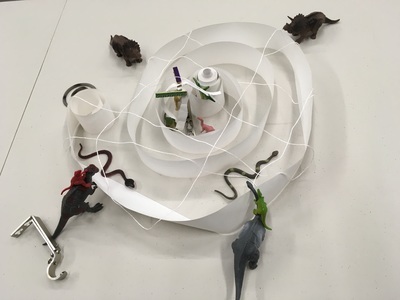 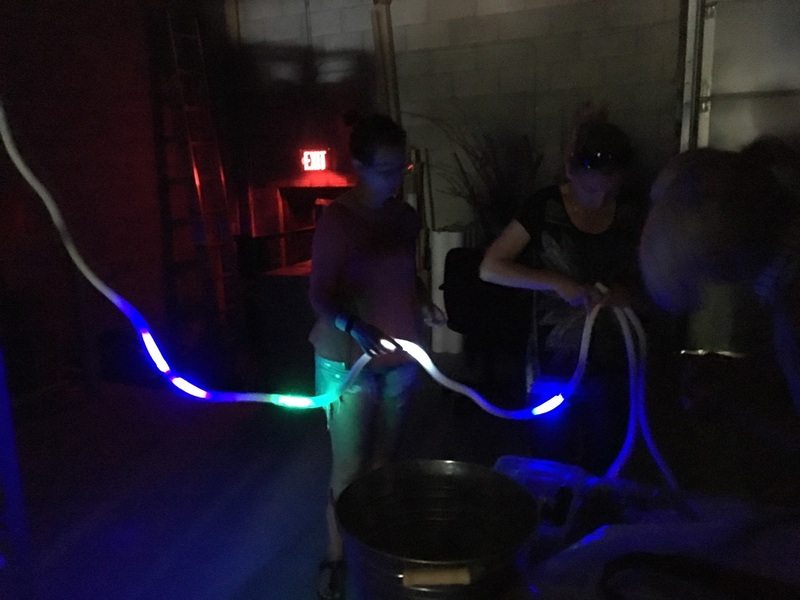 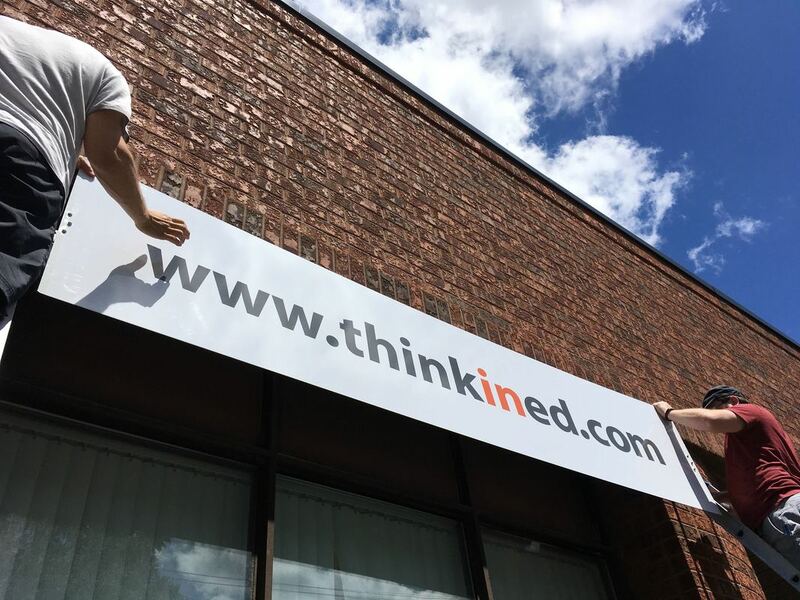 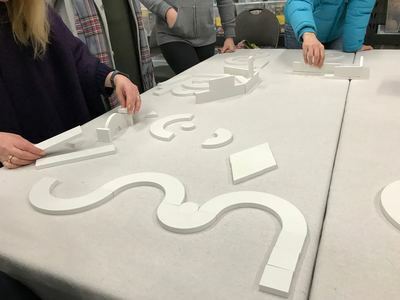 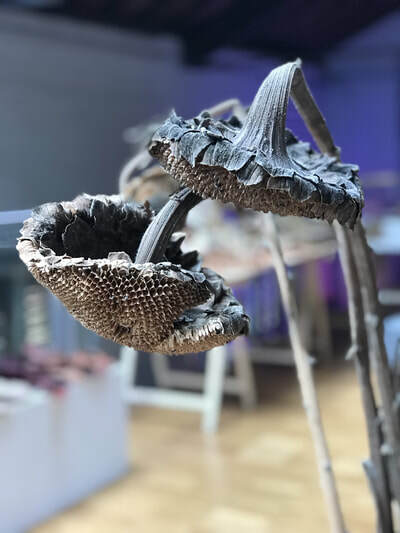 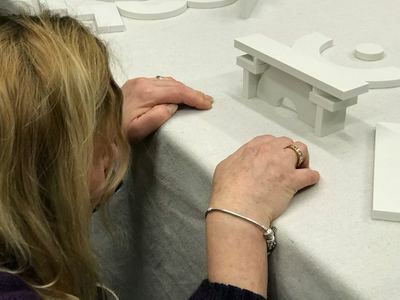 "The way that you inspire collaboration and learning in a group is genius...I loved how you allowed us time to explore – it wasn't rushed, it was peaceful and truly enjoyable. " This workshop is not currently available, as we will soon be phasing out the Storybasket from our Cornerstore collection. 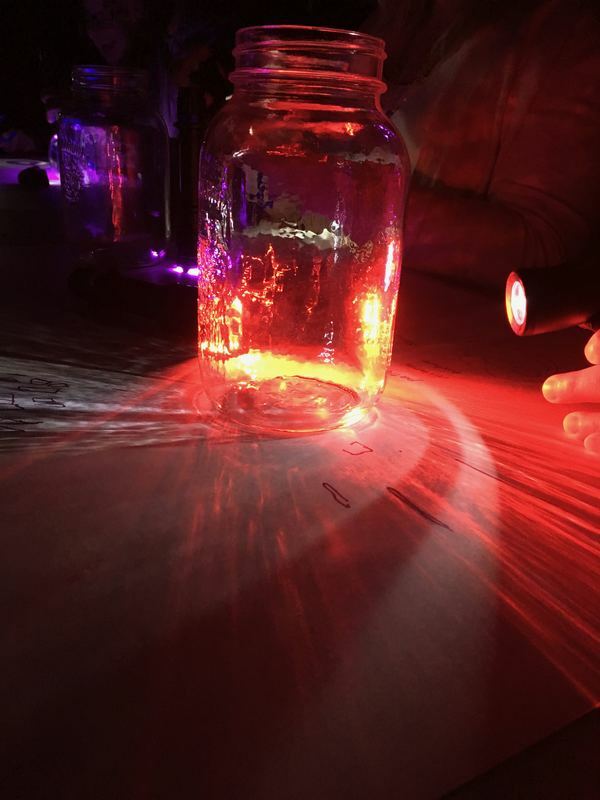 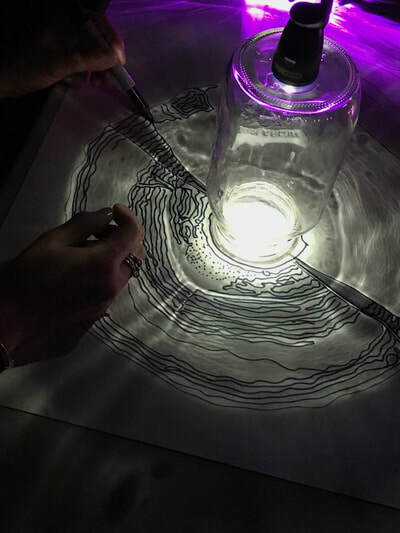 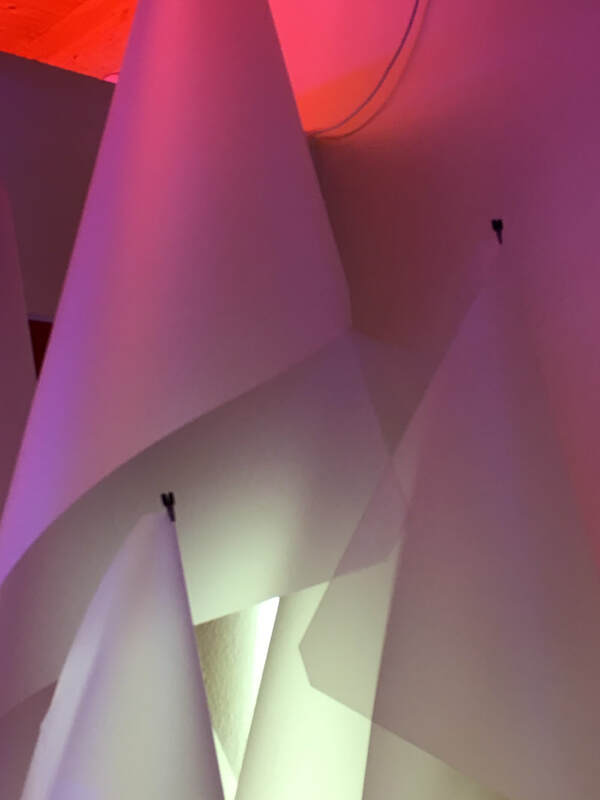 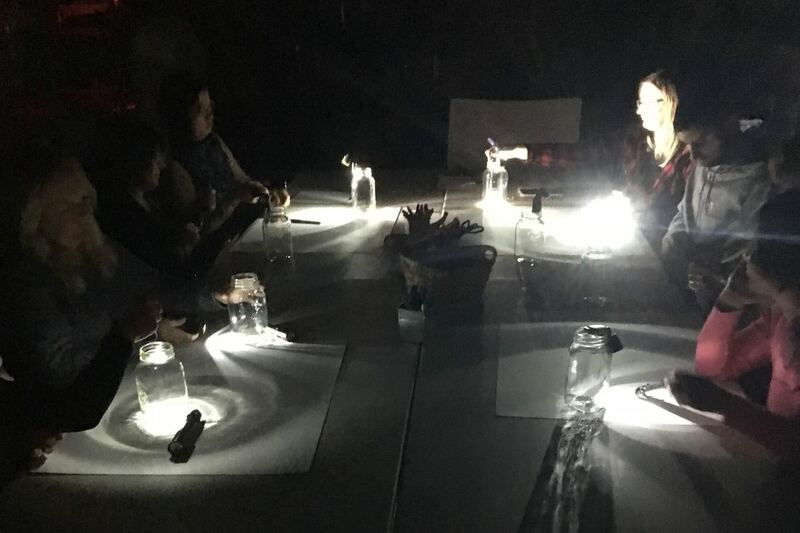 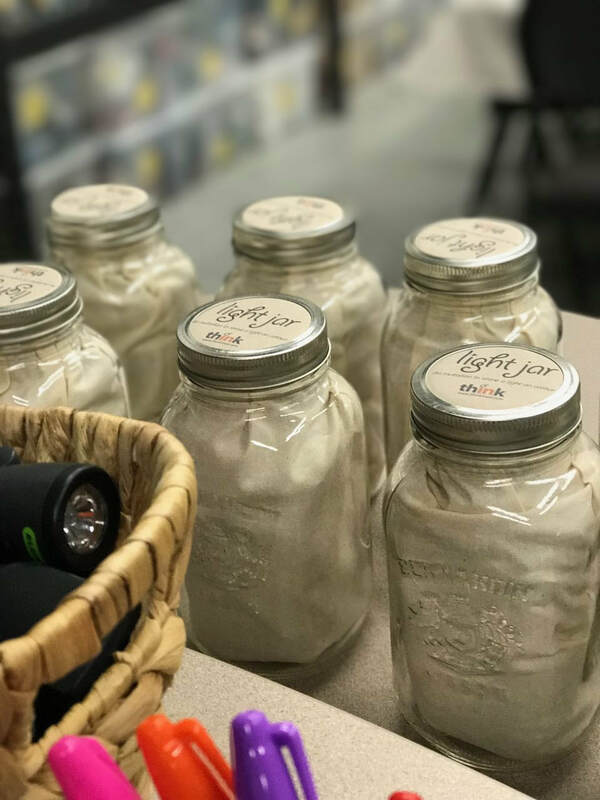 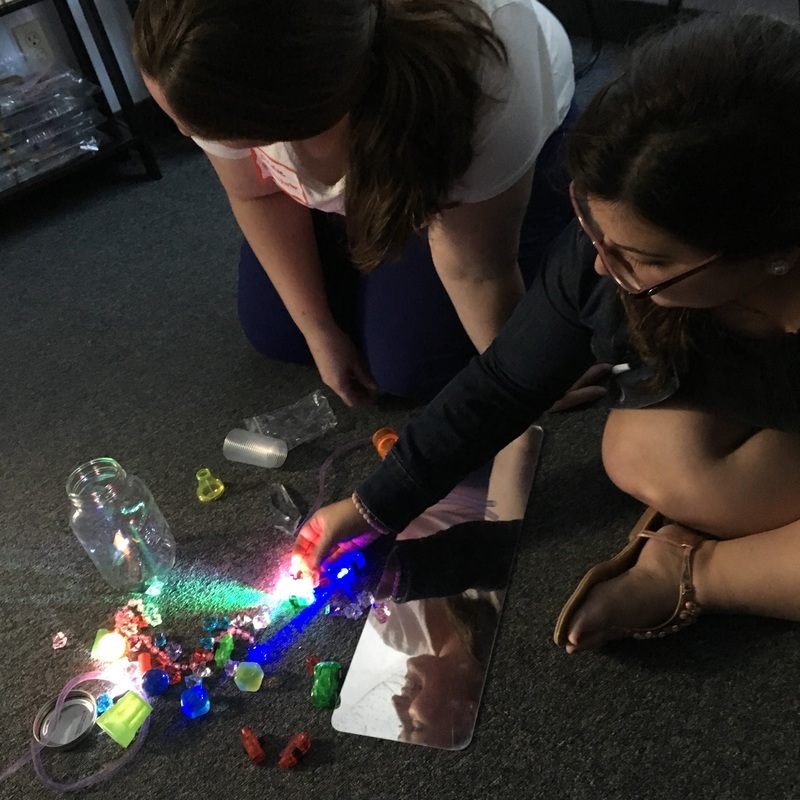 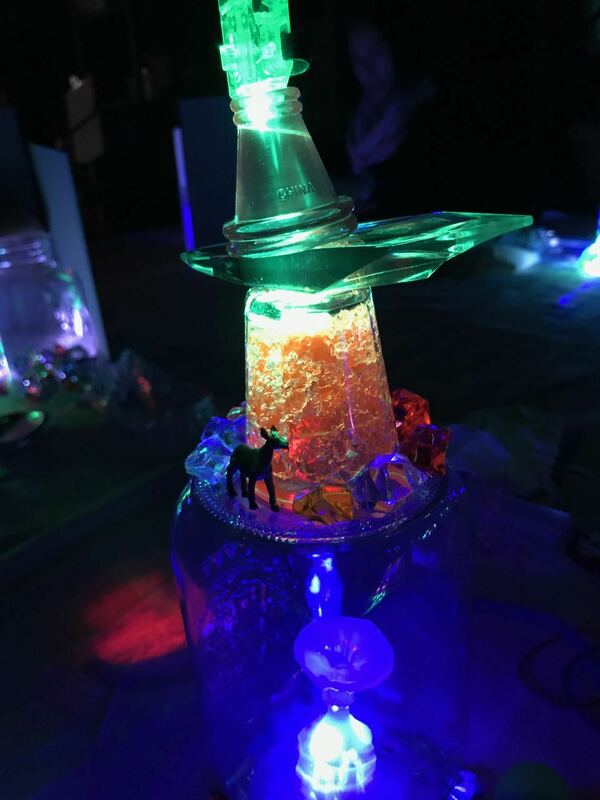 Explore the thinking and curation process behind our Light Jar – an illuminating collection of materials that promote competency, self-directed learning, thoughtful reflection, and more. 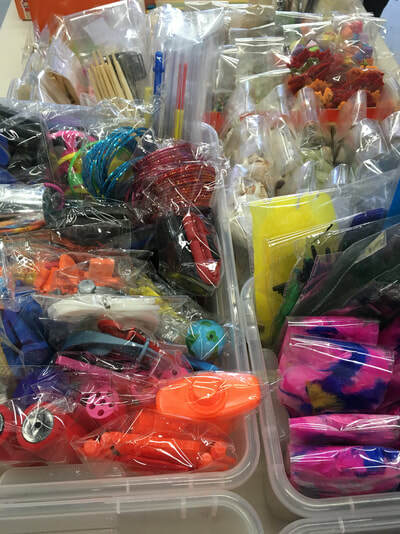 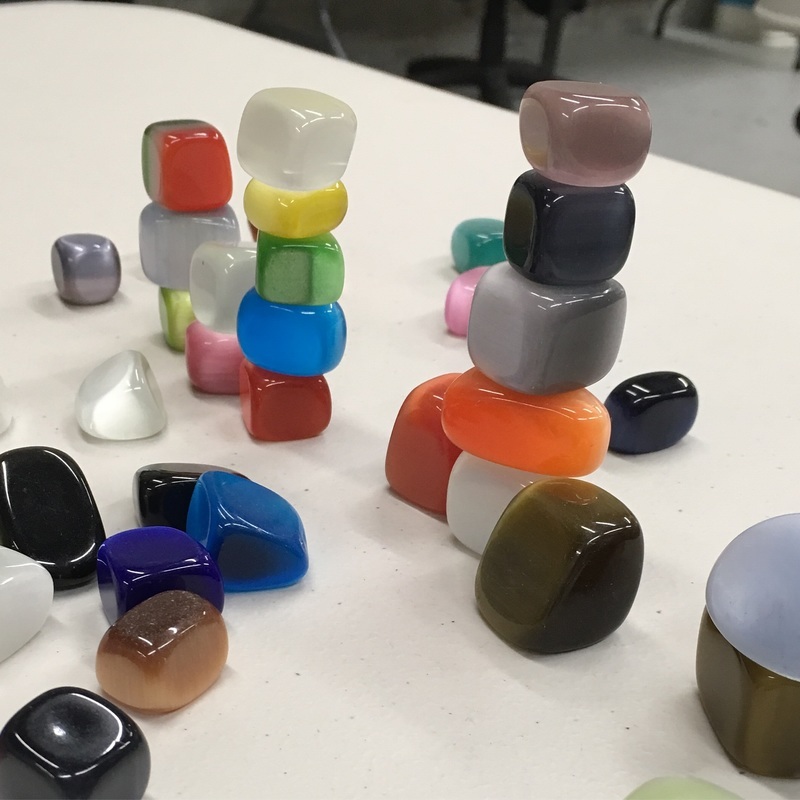 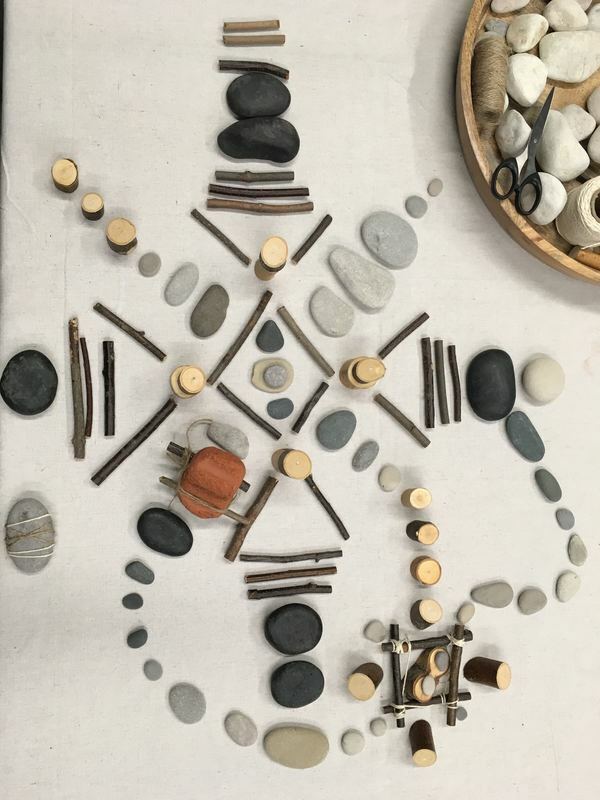 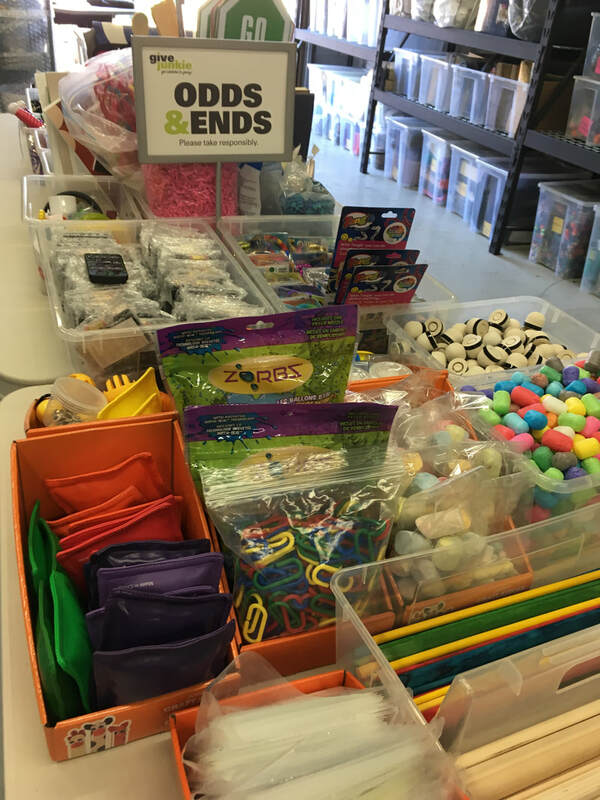 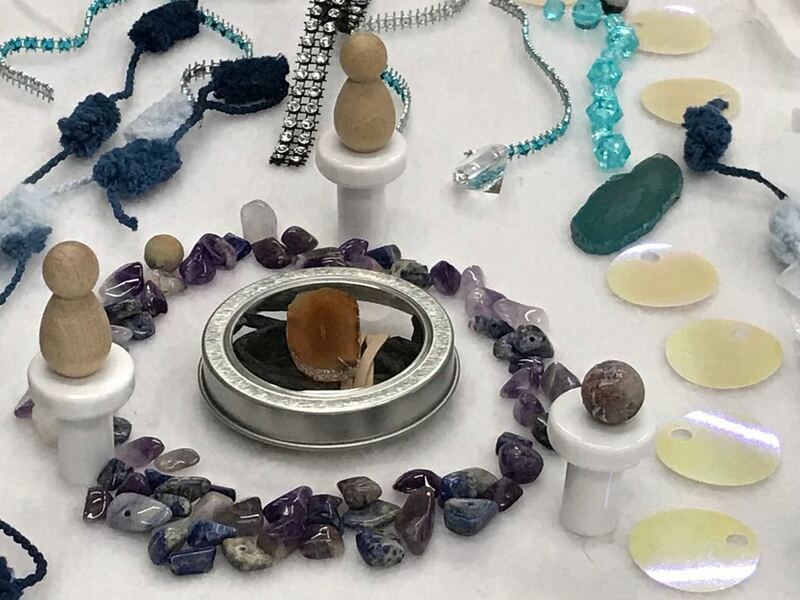 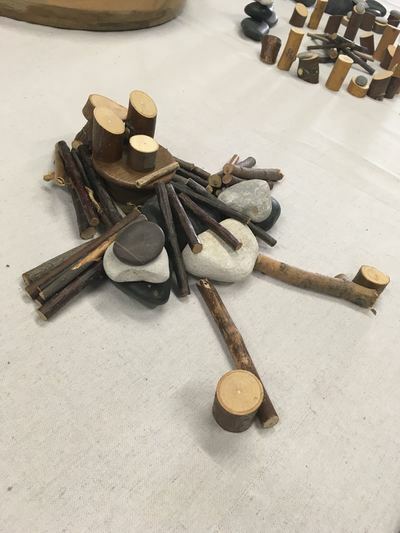 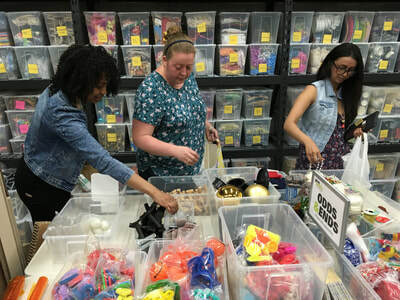 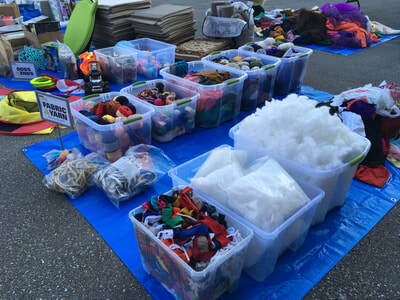 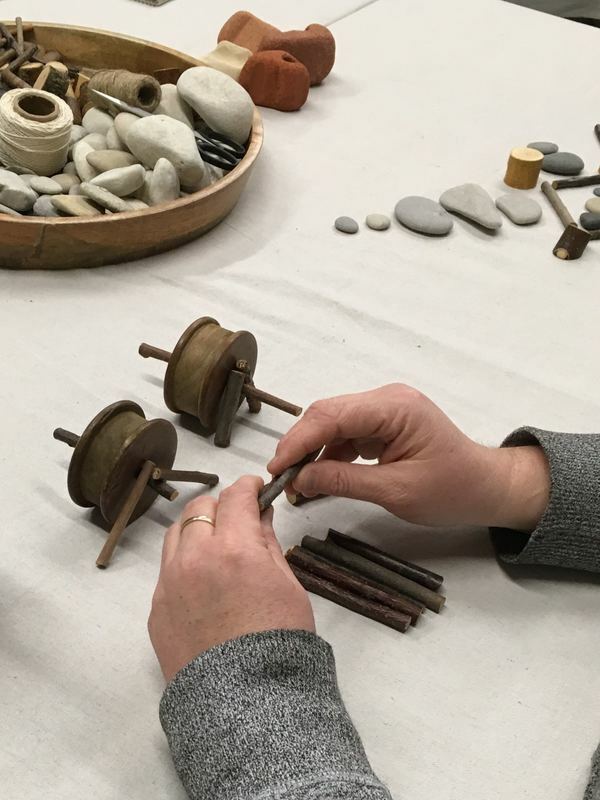 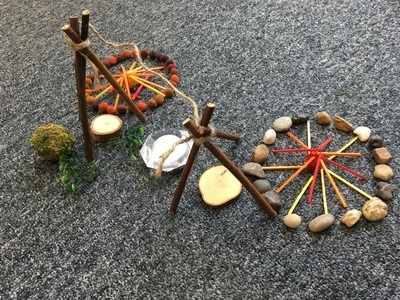 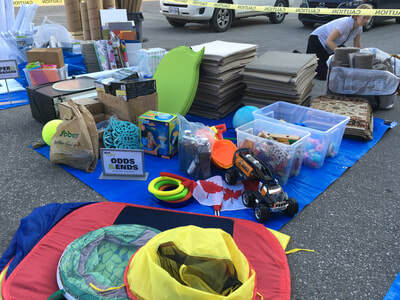 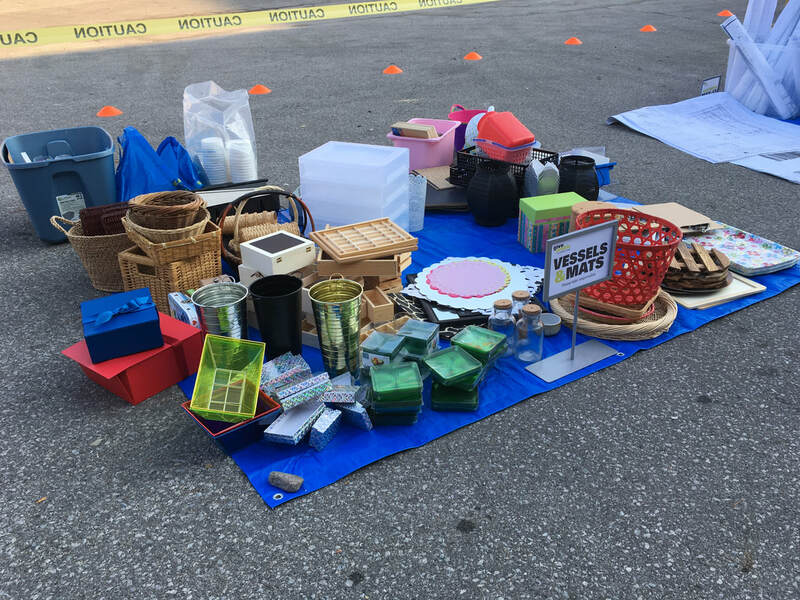 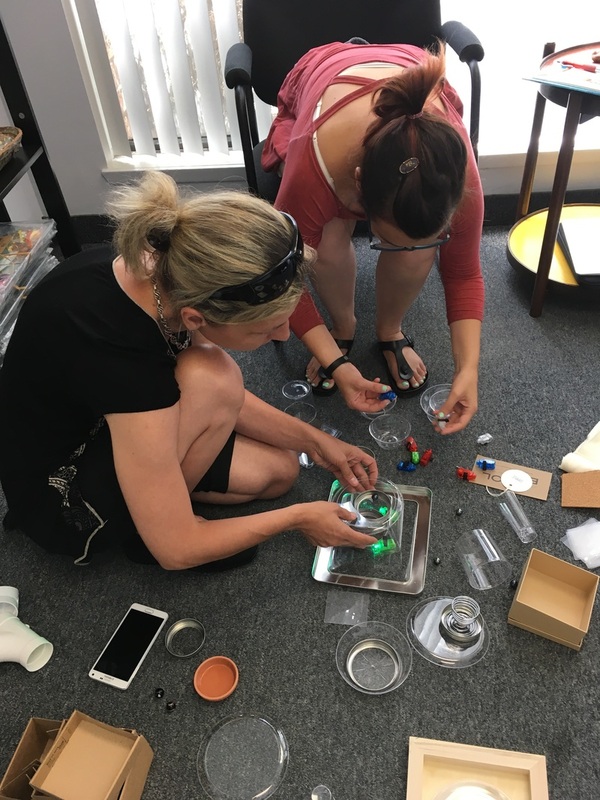 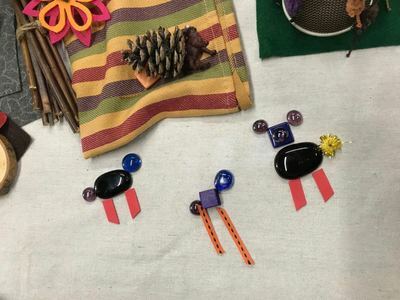 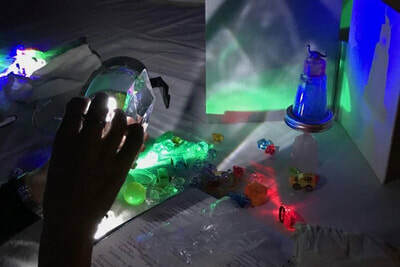 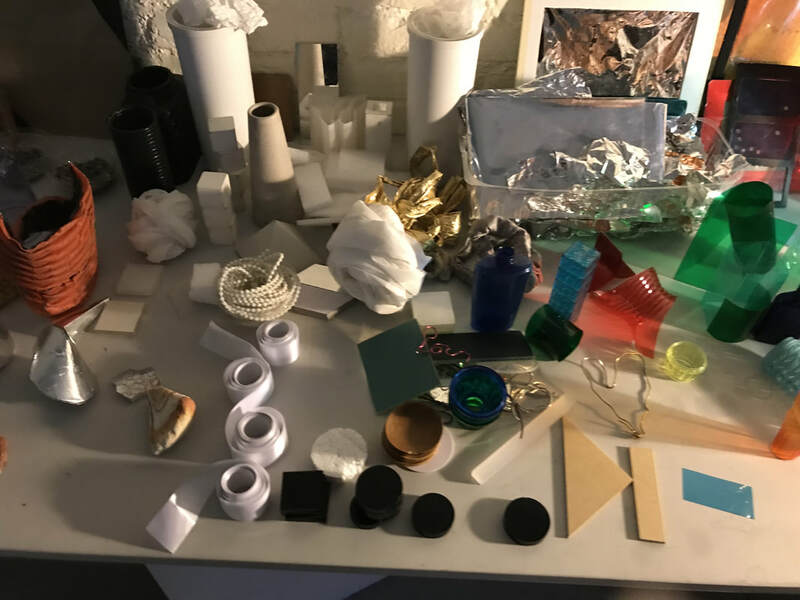 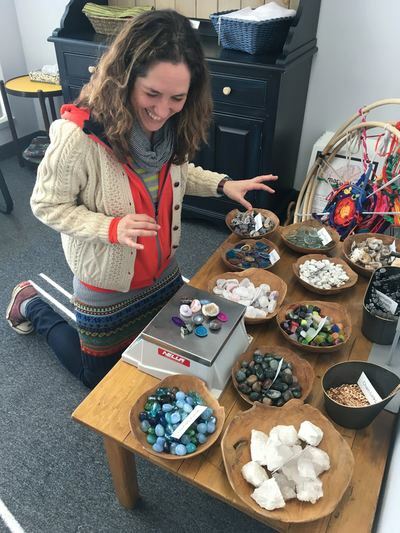 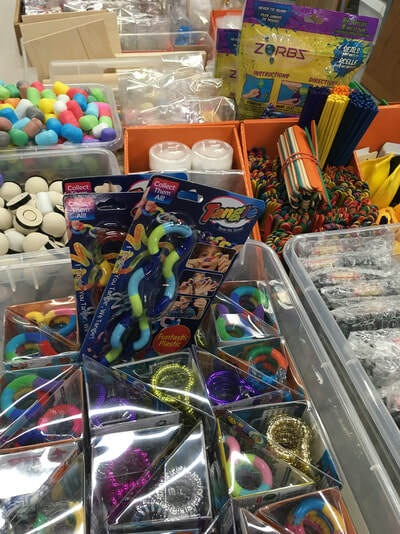 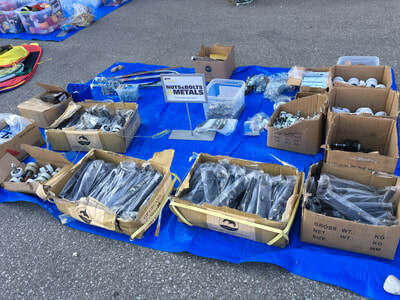 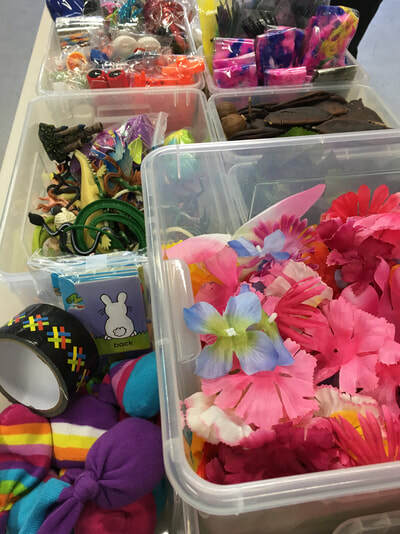 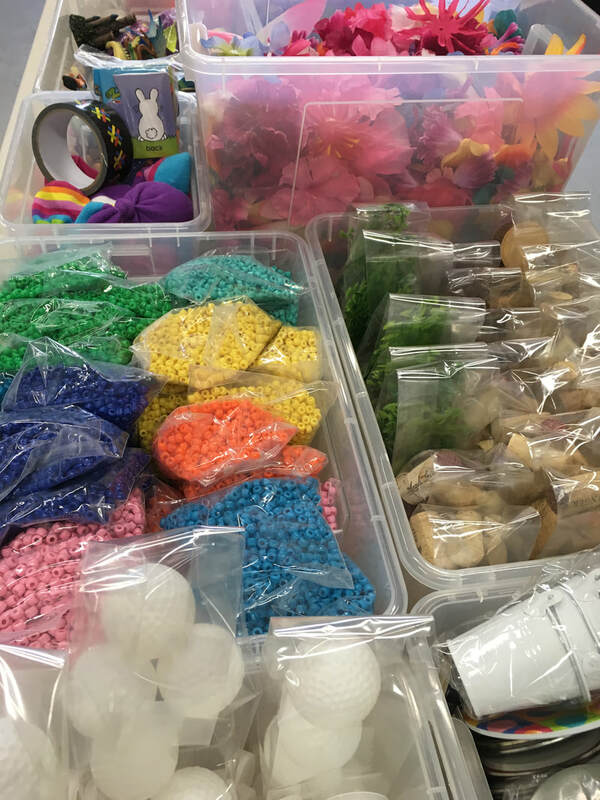 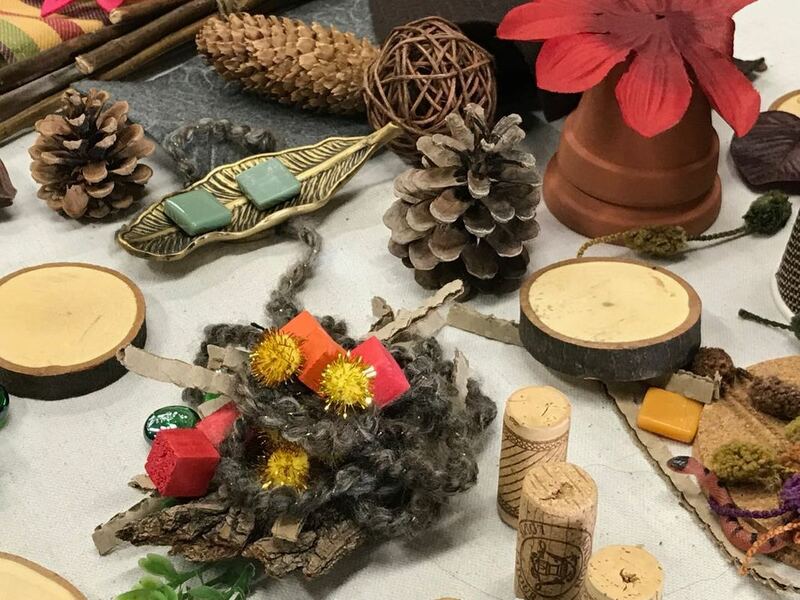 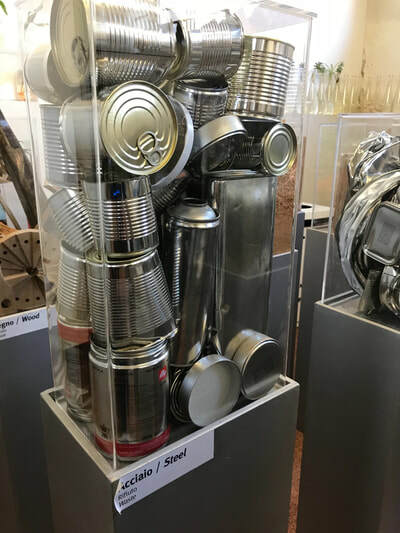 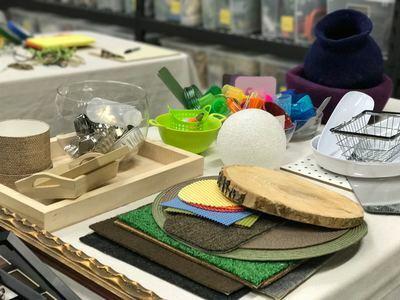 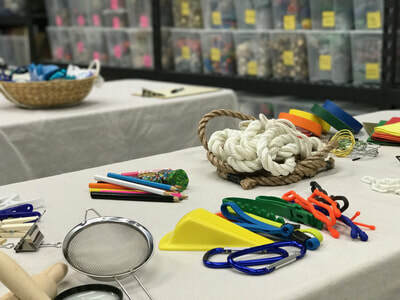 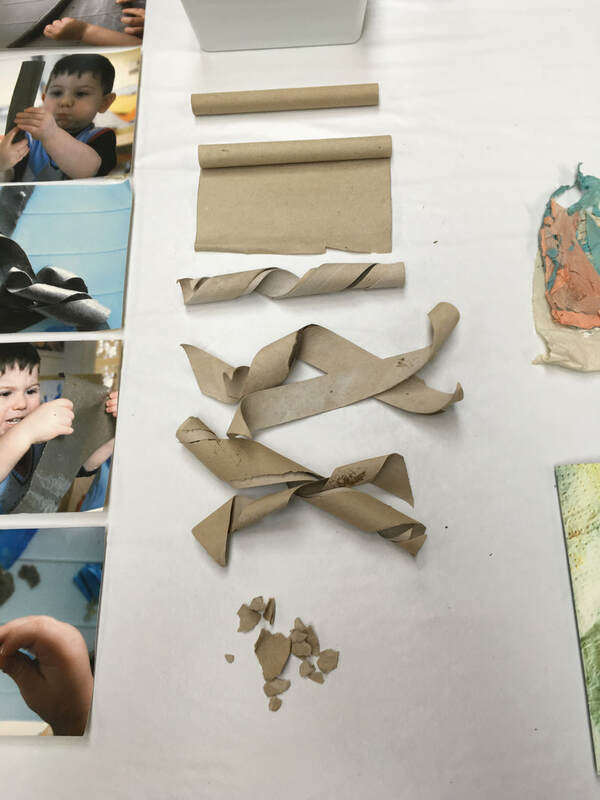 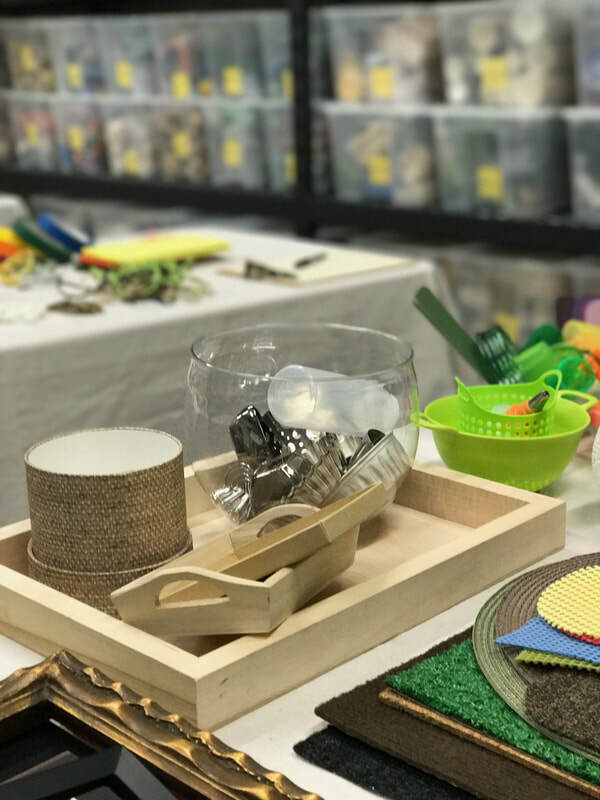 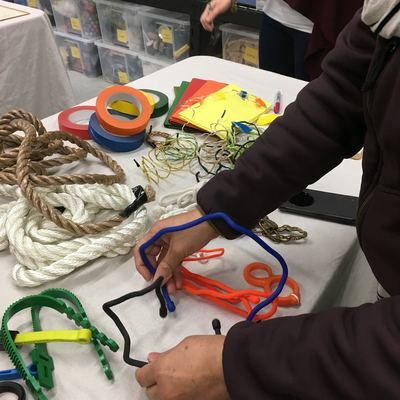 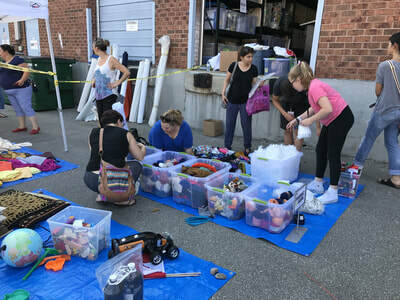 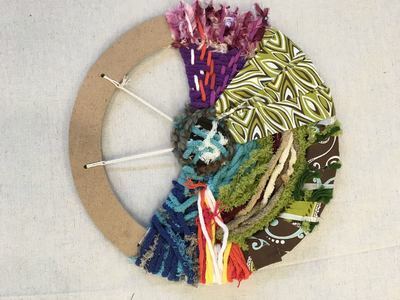 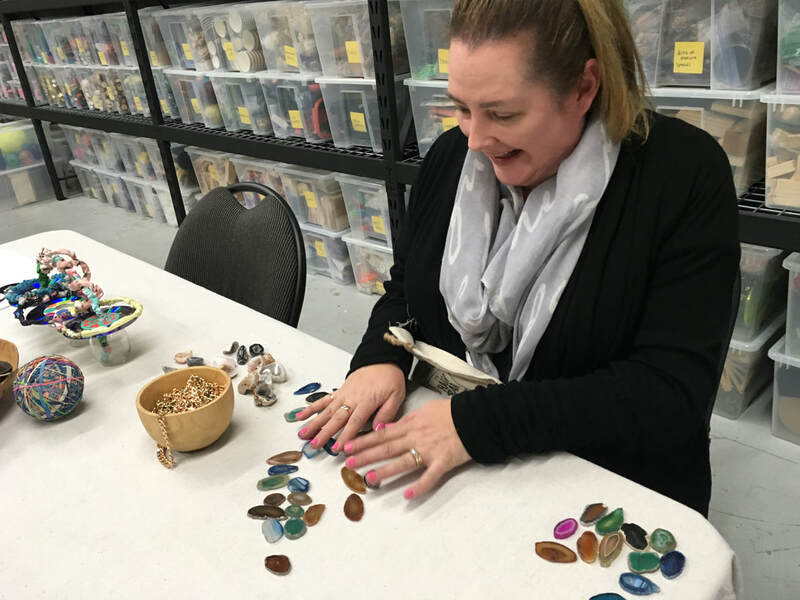 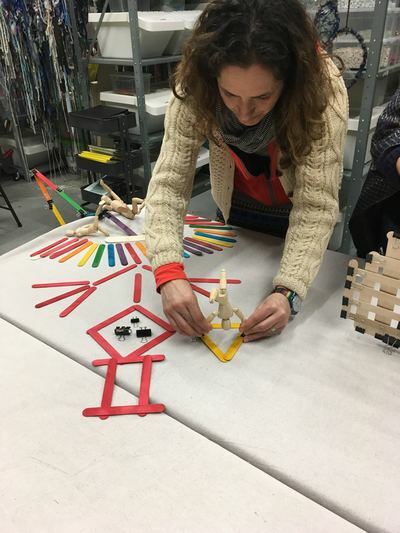 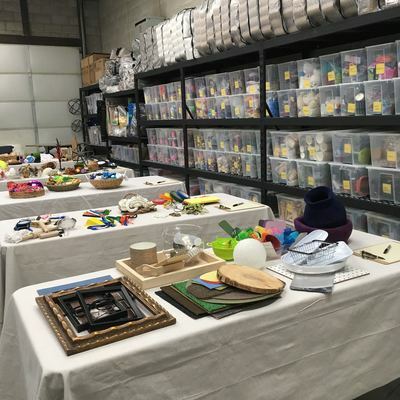 Unlock the secret language of materials to gain a deeper understanding of: selecting and managing loose parts, adapting materials for toddler spaces, interpreting the ordinary/profound encounters between young children and open-ended materials. 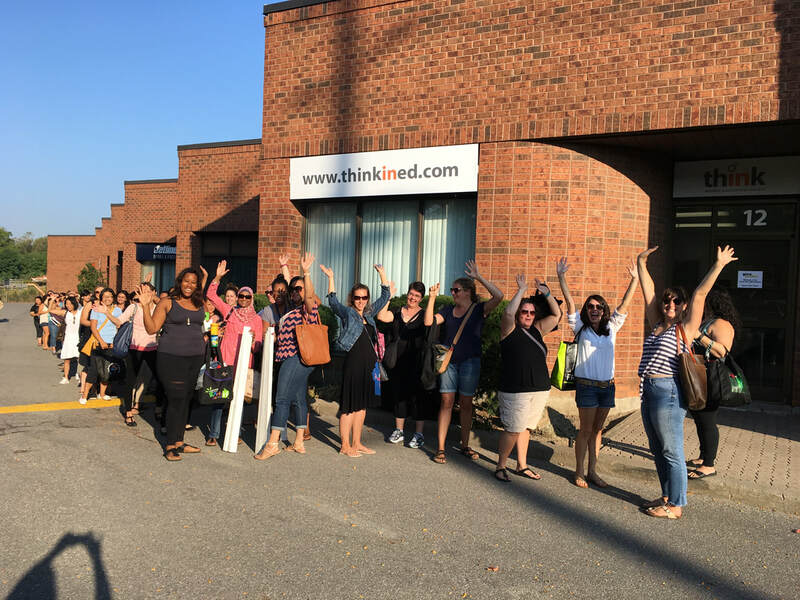 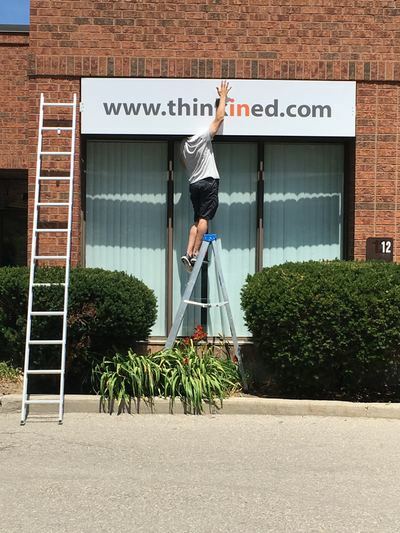 A HUGE THANK YOU to everyone who came out to celebrate the opening of our new studio space!